Manchester United will this week likely announce the permanent appointment of Ole Gunnar Solskjaer as their permanent manager. That’s according to the Daily Mail, who claim the Norwegian will be unveiled as the long-term successor to Jose Mourinho before United’s next match – at home to Watford on Saturday. According to widespread reports, Solskjaer is likely to sign a deal worth around £7.5million a year over a contract until summer 2022; his salary will be around half what United had paid Mourinho before his dismissal in December, but the club will be happy given their huge upturn in fortunes since the Norwegian took charge. Solskjaer has brought the feel-good factor back to Old Trafford, winning 14 of his 19 matches in charge and steering the club into the quarter-finals of the Champions League following an impressive victory over Paris Saint-Germain in the round of 16. Solskjaer’s contract is also likely to include bonus clauses related to United’s position in the Premier League table and whether they win any silverware. While United have given nothing away, the Mail claims an announcement is due this week after they agreed to meet the £7.2million exit clause that existed in his contract with Molde. The former United striker, who is adored by United’s fans, has revealed he has a close relationship with United chief executive Ed Woodward. Solskjaer explained to Norwegian podcast Fotballklubben: “Ed Woodward was the one who contacted me about the manager job, it’s his responsibility so I think it would be him. United midfielder Nemanja Matic, meanwhile, has become the latest player when he called for Solskjaer and his No 2 Mike Phelan to be appointed, working with assistant coaches Michael Carrick and Kieran McKenna. Solskjaer has used the international break to have a small break with his family back home in Norway, while Phelan travelled to Australia in his role as sporting director for Central Coast Mariners. “It’s just a case of seeing how things develop over the next couple of months,” said Phelan, who hopes to combine both roles. 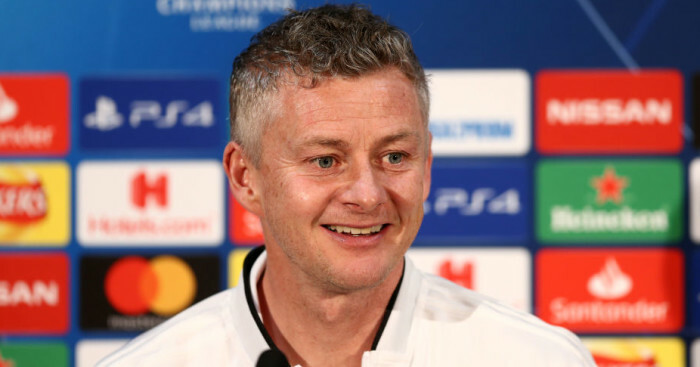 The post Solskjaer agrees generous deal as Man Utd tease announcement appeared first on teamtalk.com.